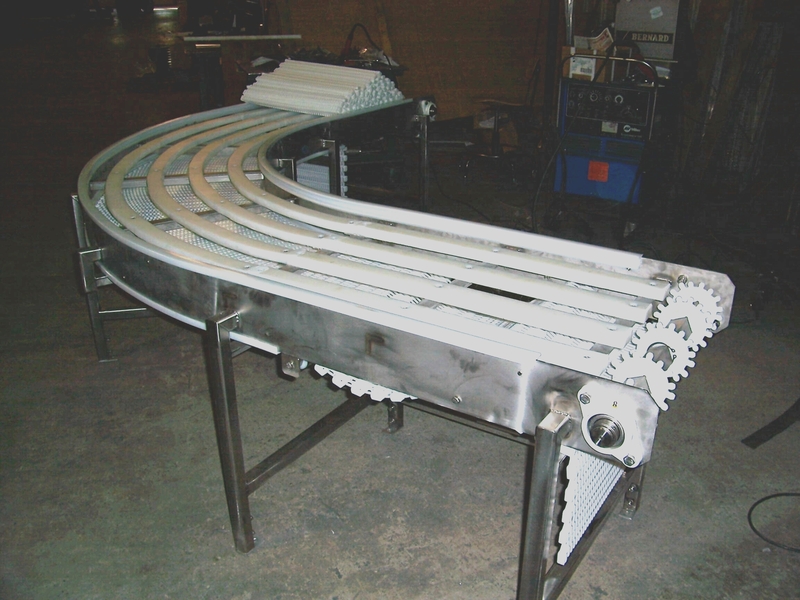 Flat top chain conveyor corner. Built to your drawings or designed to your specifications. Can be fabricated from either mild steel or stainless steel.